We’re well into the thick of Season 5 of Fortnite, and everything from the new skins to Epic’s first official tournament has been pretty awesome so far. But what we’ve really been enjoying most are the weekly challenges — the more XP the better right? Introduced back in Season 3, Fortnite’s weekly challenges give players a chance to earn XP and Battle Stars each week by completing certain objectives. 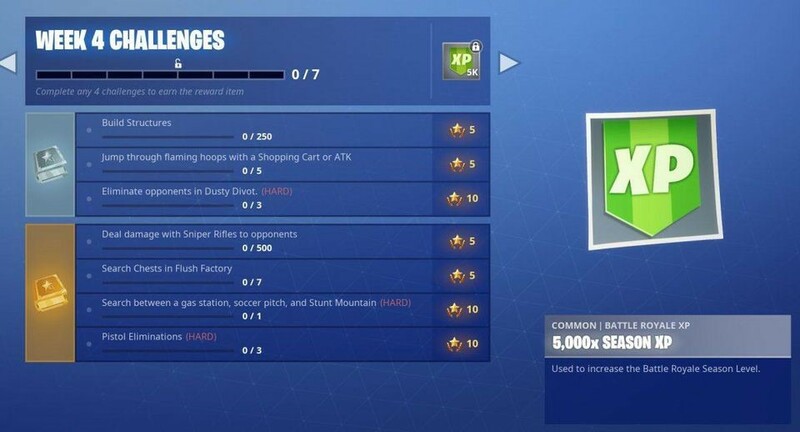 Some of these challenges are easy, some are hard (with better rewards), and some you can only achieve if you have a Battle Pass. Don’t have one yet? Grab some v-bucks from our webstore HERE, and get yours going. You only need 950 v-bucks to pick up a Battle Pass, and then you can level it up for free (just by playing!) to get more and more exclusive, top-tier loot. Yeah… you don’t need help with that one do you? That’s like having “play Fortnite” as one of the tasks. Theses tale a little more effort than the first challenge, but they’re not too hard to find. The hard part though is not getting shot while trying to jump through them. Try going for the rings in a 50 vs. 50 match because you’ll end up near a lot of the rings right from the start. And, it counts toward the challenge if you’re a passenger going through the rings. So maybe someone can give you a ride? Here’s a map of the ring locations, and at the top of this article you can see what they look like up-close. Ok, on to the next challenge! Sniper rifles are definitely not our favorite weapon, but some of you out there might be good with them. If you’re not, a good tip might be to load up a 50 vs. 50 game and go for players that have just landed. A challenging objective, but who doesn’t like a good game of hide and seek? Here’s a video showing you where exactly to look. We don’t think this one is very “hard” at all. 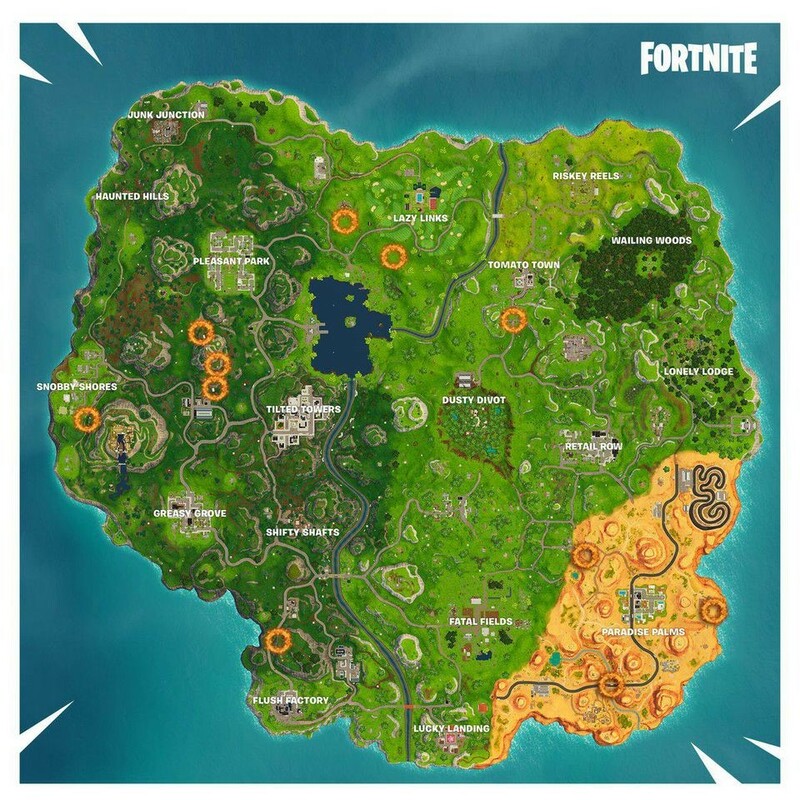 In fact I bet you could knock this one out with a couple of the other challenges right at the beginning of a match: just land in Dusty Divot, build…anything, and then grab a quick kill with the pistol! That’s 3 challenges in your pocket right there. Remember to check back each week for the newest Fortnite challenges!